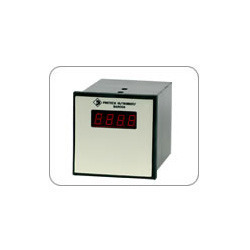 Our organization has gained an immense expertise in providing our customers with an exclusive array of Digital Type Process Indicator & Controller. 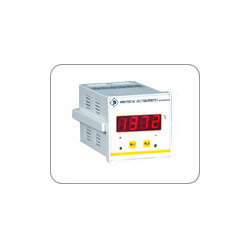 It is Model 804 that is designed to display not only indication of two process inputs, but each input on demand too and is provided with two alarms on difference of the inputs and provide an analogue output of 4-20 mA DC. Output Equation K1+K2(A-B) where K1 & K2 are constants and A/B are inputs. 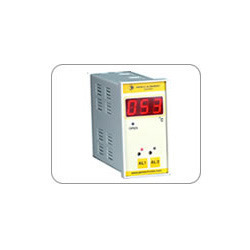 Since inception, we are engaged in offering our customer's with a commendable range of Difference Controller & Indicator. These products are manufactured using quality-approved raw material and other basic components with the aid of our modern and advanced technology. Further, we develop our range under the guidance of professionals, who ensure that these products are manufactured in adherence with the international standards of quality. From the day of commencement, we are engaged in catering to the variegated requirements of the customers by bringing forth a comprehensive Difference Indicator and Controller. Our offered range is manufactured using high quality raw material and other components with the aid of our sophisticated infrastructure facilities. Further, these products are tested on various quality grounds, under the supervision of our professionals and manufactured in compliance with industry set norms and guidelines. Looking for Difference Indicators & Controllers ?